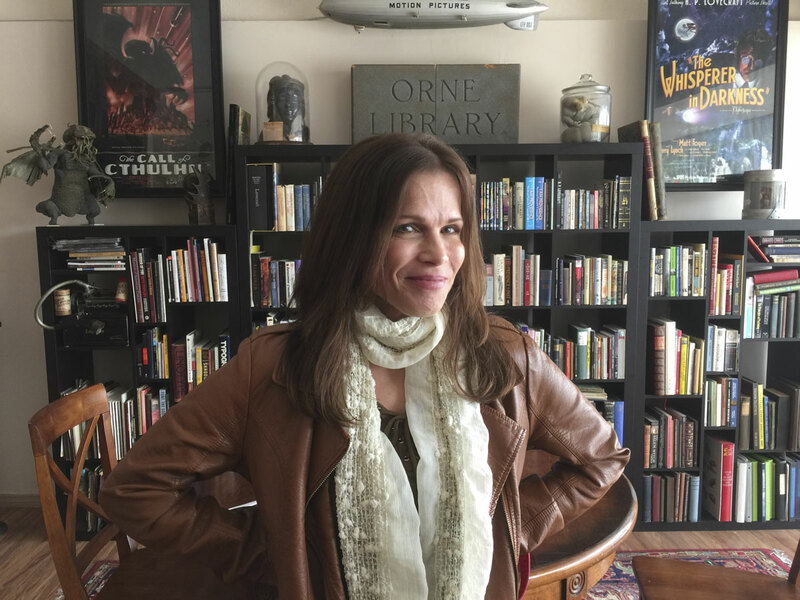 HPLHS global headquarters was graced today by a visit from Josie DiVincenzo, former Shipping Shoggoth. Josie used to screen t-shirts and prepare Dark Adventure Radio Theatre jewel cases, and can be heard on the A Shoggoth on the Roof cast album as Lavinia Whateley. She was also on the crew of The Whisperer in Darkness, doing some amazing scenic painting. Now an actor, painter and teacher in her hometown of Buffalo, N.Y., she dropped in to check out her new old stomping grounds, and we were glad to see her! Call of Cthulhu Game Night! 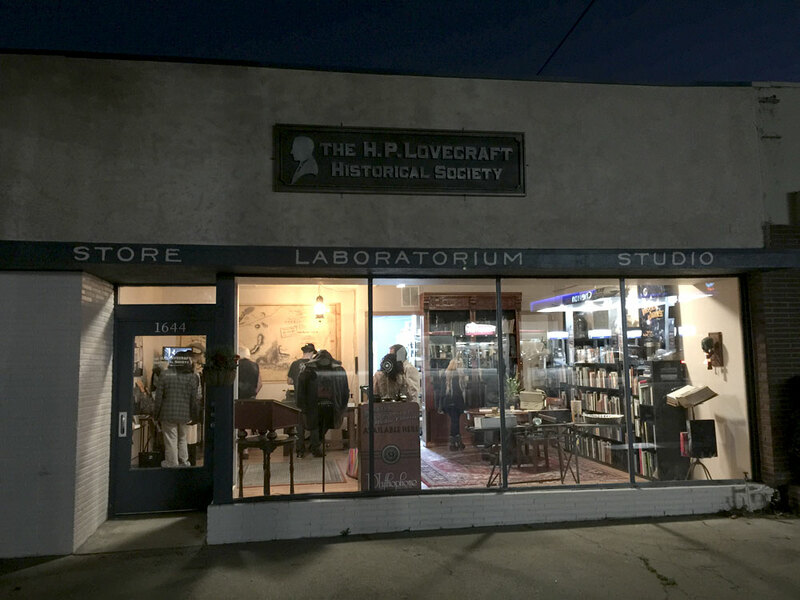 The inaugural Call of Cthulhu gaming session at the new HPLHS headquarters is now fully booked! Thanks to those who signed up. Assuming everyone survives the experience and doesn't burn the place down, we will be hosting future sessions, so please stay tuned for future announcements. We were very happy to host an open house at the new HPLHS global headquarters at 1644 Victory Blvd. in Glendale, CA. It was a great mix of members, fans, colleagues and artists, and even some curious people who came in off the street. The Narraganset Brewing Company very generously donated some of their Lovecraftian beers, including Unnamable Black Lager, and Leslie Baldwin prepared a delightful sundae bar in honor of one of HPL's favorite foods. 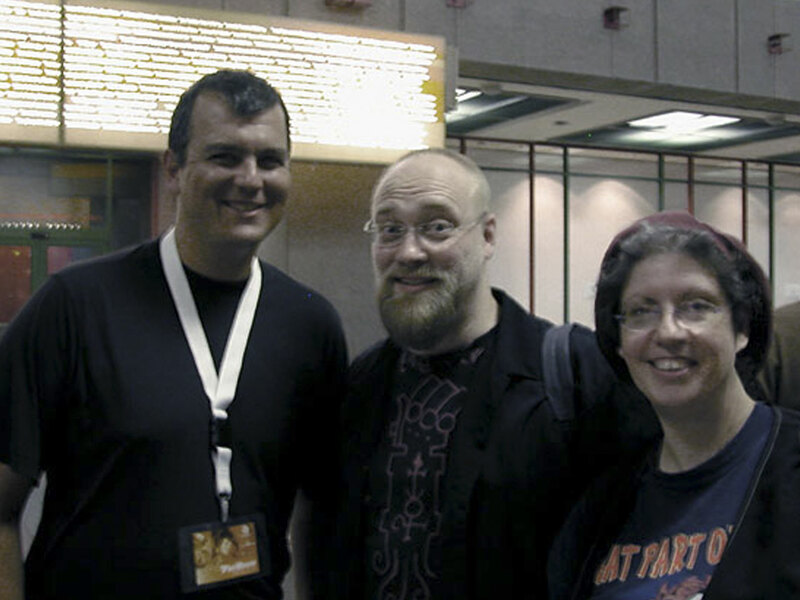 Some HPLHS members drove for hours to attend in person, and it was wonderful to meet them! Thanks so much to all who attended, and who brought some fascinating items to show and tell. 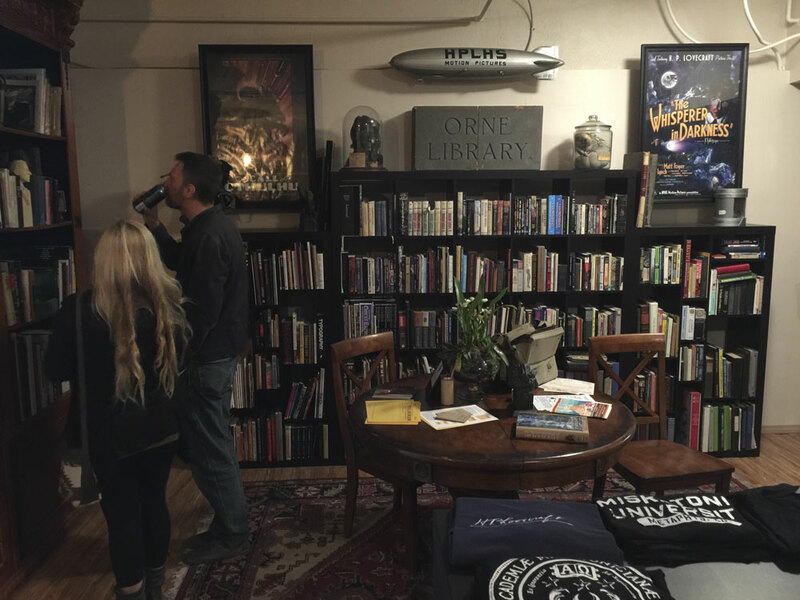 Our new headquarters now feels very much like home, and we look forward to getting down to business producing more fun Lovecraftian entertainments there. 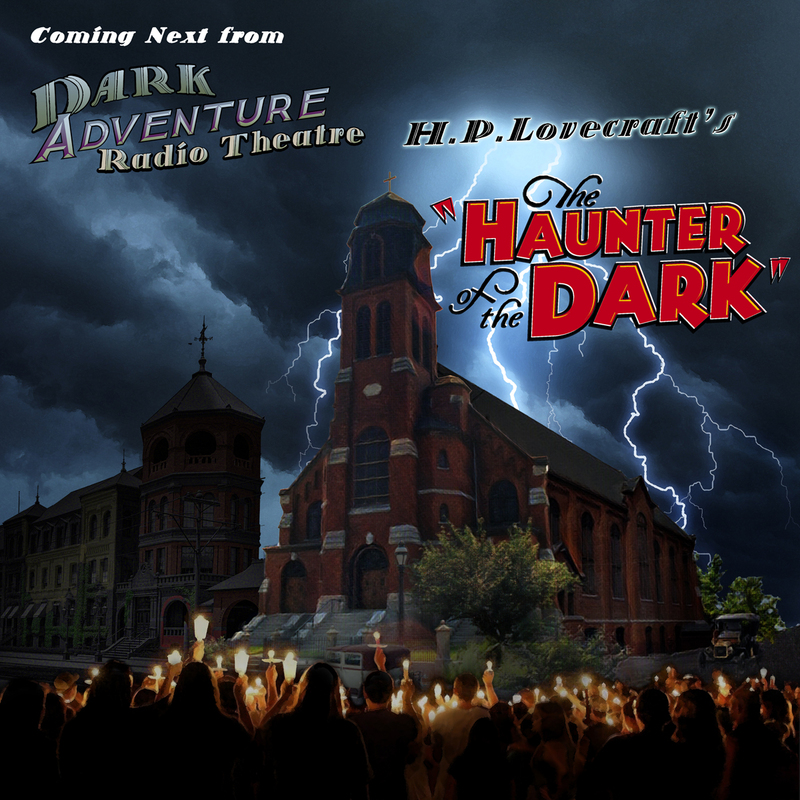 We are extremely happy to announce that the next episode of Dark Adventure Radio Theatre will be Lovecraft's classic tale "The Haunter of the Dark". 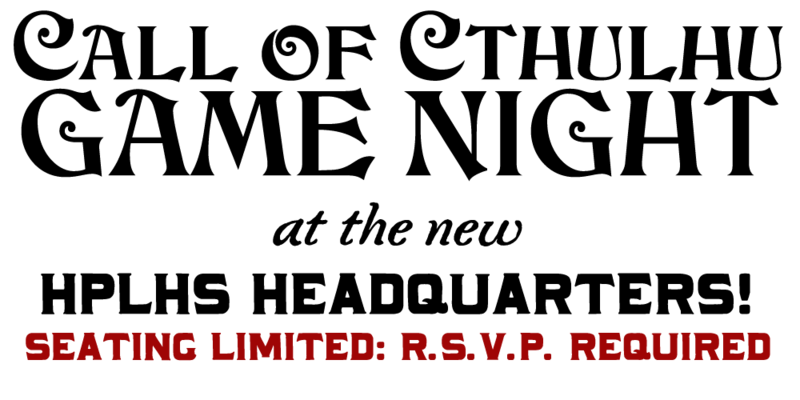 The show is currently in the works, and we anticipate the CDs and downloads will be shipping by the end of June. 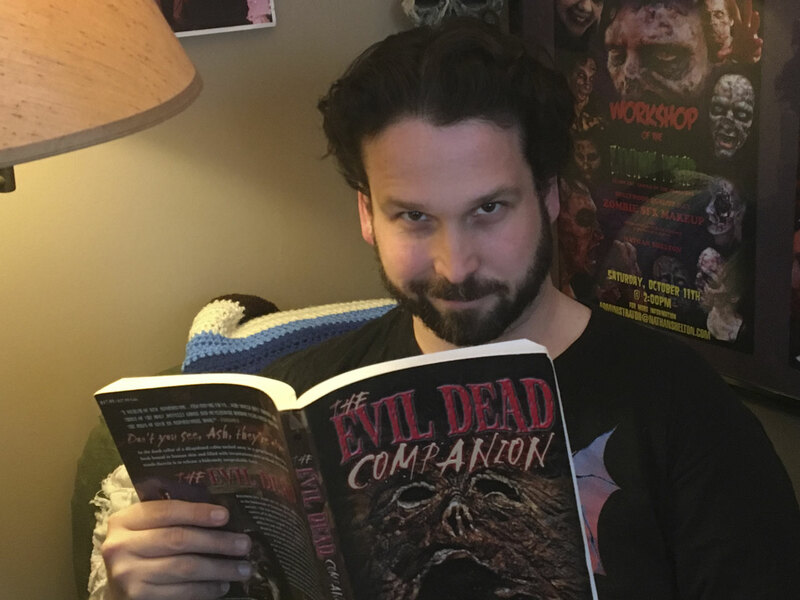 We're happy to be adding a new writer to the DART creative team: Stephen Woodworth is joining Sean and Andrew in crafting the script of this episode. The indefatigable Reber Clark, who worked last on the music for "Dagon: War of Worlds" will return to write the original musical score. 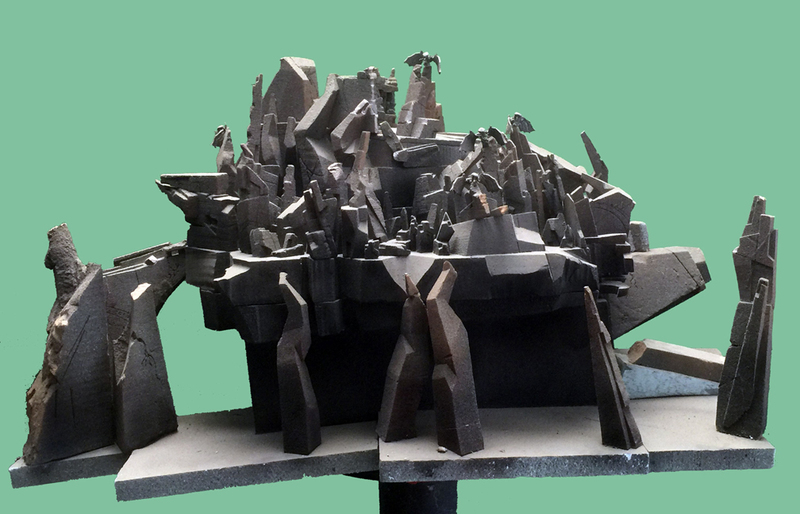 Among the treasures recently raffled off to help raise funds for the H.P.Lovecraft Providence Statue project was the original model of the Alert used in the HPLHS motion picture "The Call of Cthulhu". 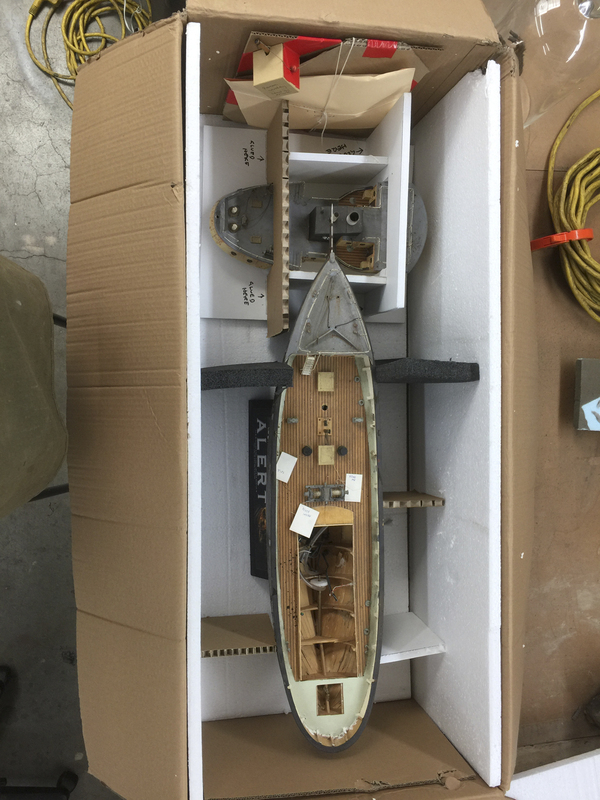 To prepare it for shipment we had to disassemble the delicate rigging and superstructure, but it is now on its way to Drumheller in Canada. We loved the Alert and will miss having her around. She was the only thing that could even temporarily beat Cthulhu himself. We wish her bon voyage. The HPLHS congratulates Kevin Stidham, our indefatigable Shipping Shoggoth, and Sarah Van der Pol on their marriage! 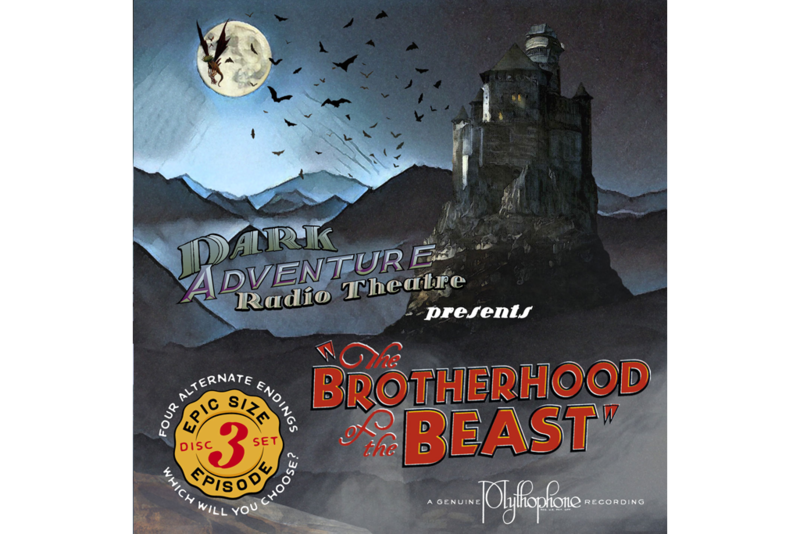 Dark Adventure Radio Theatre fans have heard their voices in several episodes: most recently Kevin played Baron Hauptman and Sarah played Jenny Alexander in "The Brotherhood of the Beast". We hope you'll join us in wishing them the very best! Our Member of the Month for April 2017 is Nathan Shelton of Chicago, Illinois. 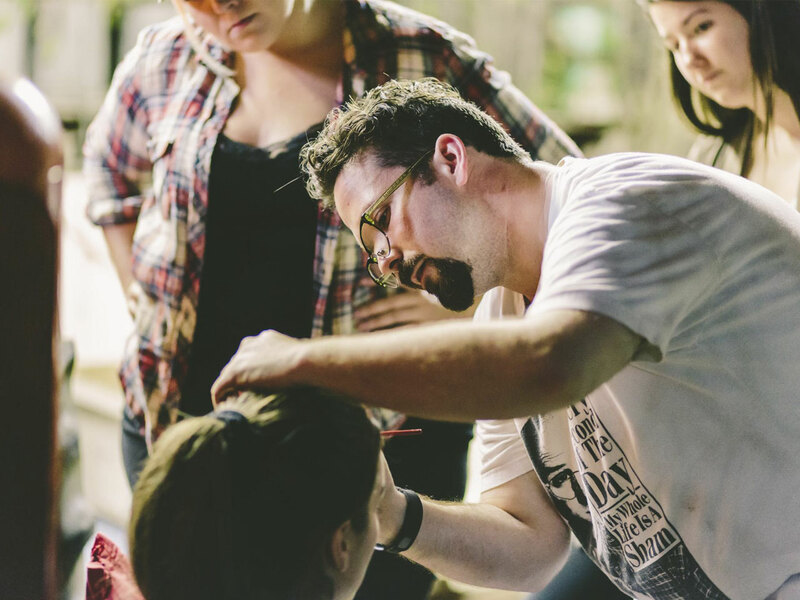 Nathan is originally from southwest Missouri but has lived and worked as an actor/writer/director/ and special effects makeup artist for film, TV, and theatre in Chicago, IL since 2013. 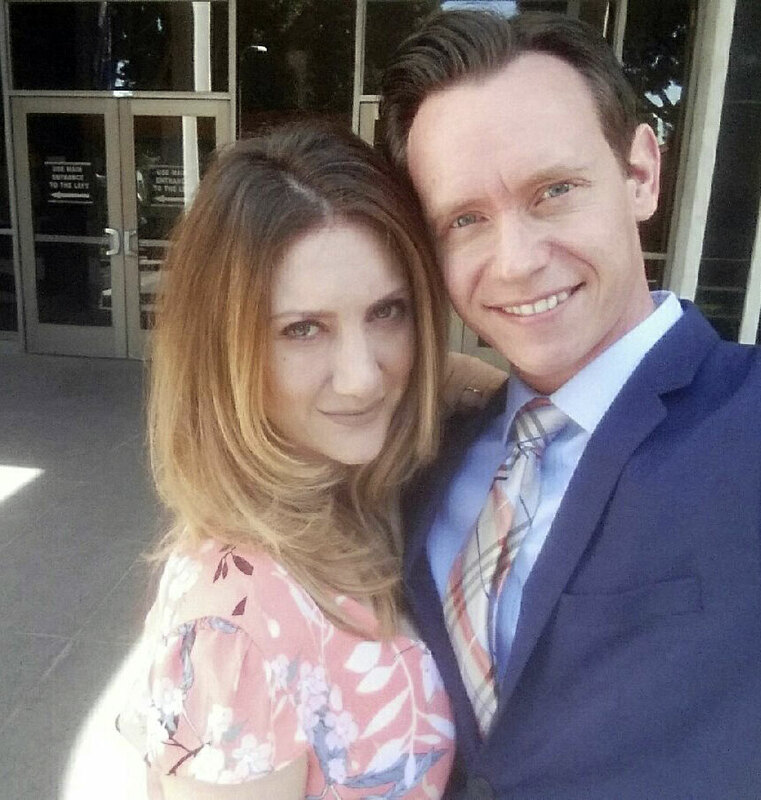 He has worked on many projects throughout the country and in May of 2017 he will be returning to his home town of Springfield, MO to take over as Artistic Director of the Springfield Contemporary Theatre. I grew up writing horror stories, comic books, and films with my twin brother. Life consisted of hosting monster clubs, drawing pics of monsters and hanging them all over the house, and watching old Universal Horror Films with my dad. It was inevitable that I would get into the theatre and eventually film. I love performing and creating monsters for movies and stage but it got to the point that if I really wanted to do the kind of work I wanted, I would have to write and direct as well. So I started down those paths and wound up writing my first feature film towards the end of college. It was a Lovecraftian horror-comedy called Unspeakable. It did very well at some script festivals but I was never able to get the budget together to make the damn thing... so my brother and I set out to turn it into a motion comic online. We are currently working on this project and hope to have it up and running by the end of 2017. 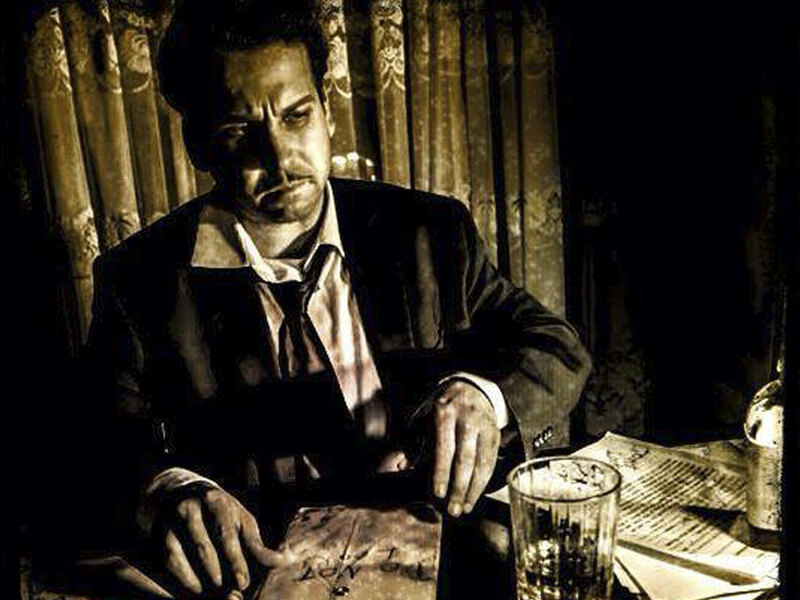 My love affair with Lovecraft led me to create my production company, Arcane, in Springfield, MO. We started out producing horror pieces for the stage as well as short films. Then I wrote a script treatment that we decided would work best if we broke it down into episodes and released it as a web series. We produced the web series in 2012 and it went on to win international acclaim at festivals all over. We couldn't believe we had pulled it off! It is a Black and White, Lovecraftian-horror, Silent web series entitled Shadow Bound. The series was set in 1931 and produced on a shoestring budget with local Missouri filmmakers and a friend in Los Angeles helping with the score. Being black and white and silent had set it up for a limited niche following but we knew that going in, and wanted to make the series for people like us who love the works of H.P.L and their themes. 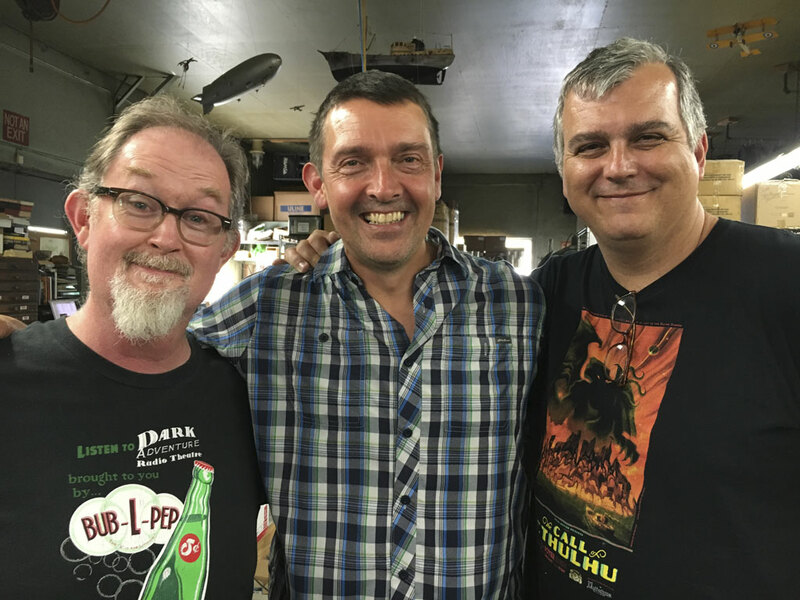 A feature film version of the series is now in post production and we actually just had a showing of the series two weeks back (the anniversary of Lovecraft's Death) at a great horror record/book store in Chicago called Bucket of Blood Books and Records. If you are in the area check them out! 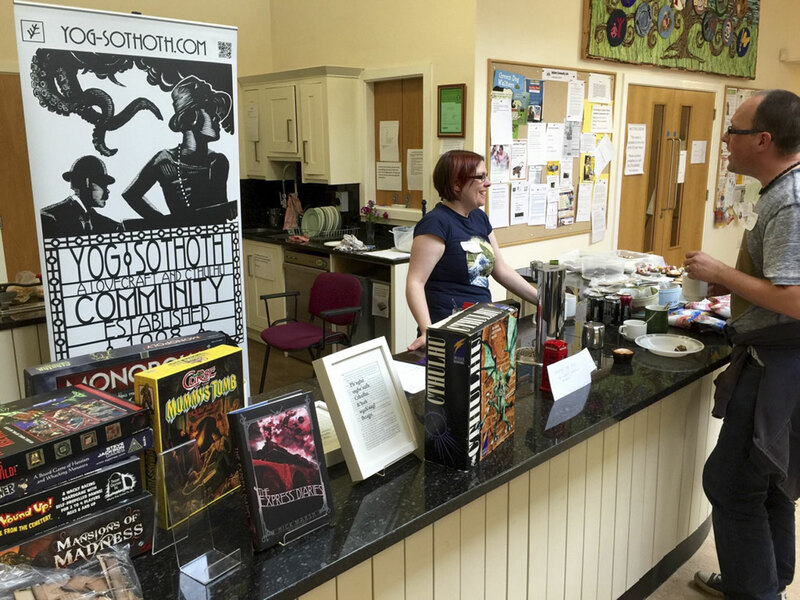 They do many great events and support local Chicago horror/sci-fi/fantasy themed artists! The success of Shadow Bound has me plotting and scheming for more fun Lovecraftian, horror, and twisted projects for the near future as well. If you would like to check out Shadow Bound, all five episodes are available online at shadowboundseries.com as well as YouTube. And you can find more of my work as an actor and effects artist at my personal site. I'm always up for collaborating with other Horror and Lovecraft Fanatics so hit me up and lets create something dark and sinister!" 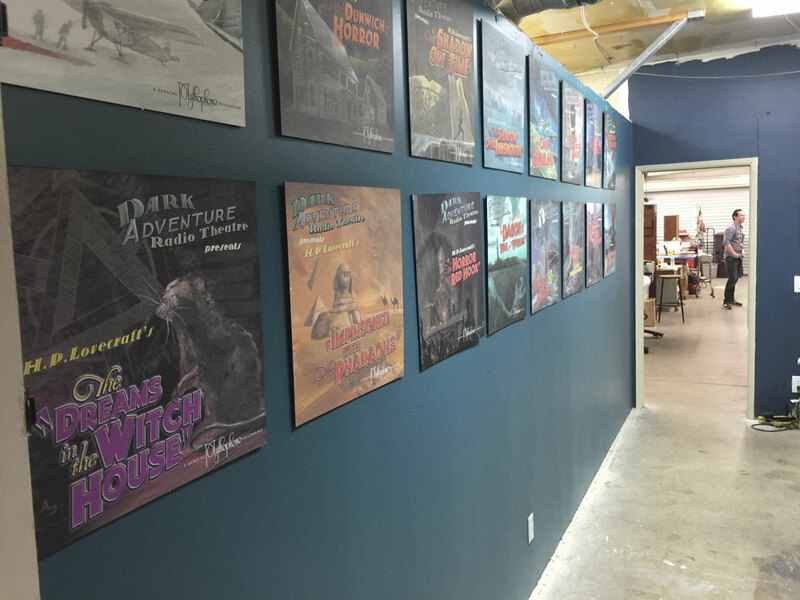 In the recent move of the HPLHS headquarters to its new location, we have been dusting off some old items that have been in storage for years. Today we took a new look at the miniature of R'lyeh from our motion picture of The Call of Cthulhu. We won't be able to continue storing it in our new space, but before it sinks below the waves for the last time our friend Jeff Amaral came in to take some special stereoscopic photos of it. 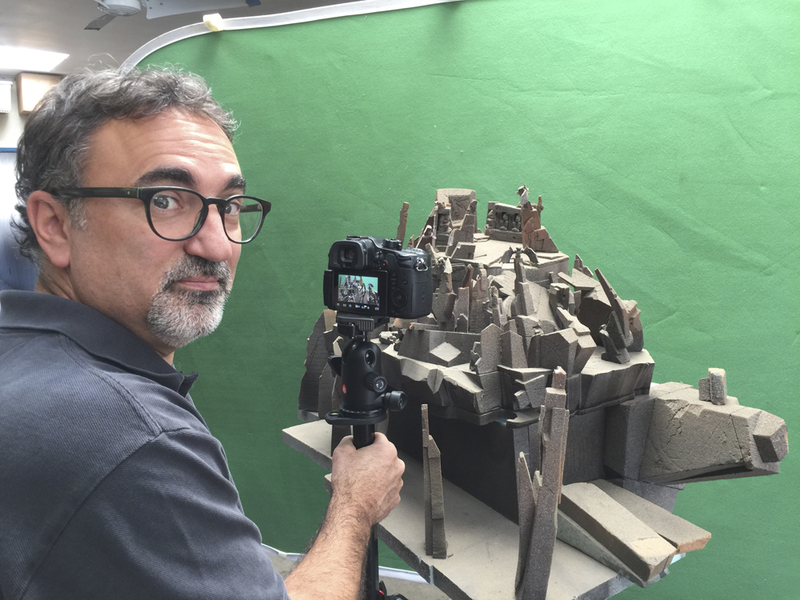 It might be some time before we're able to share those images, but here's a snapshot of Jeff at work and of the model. 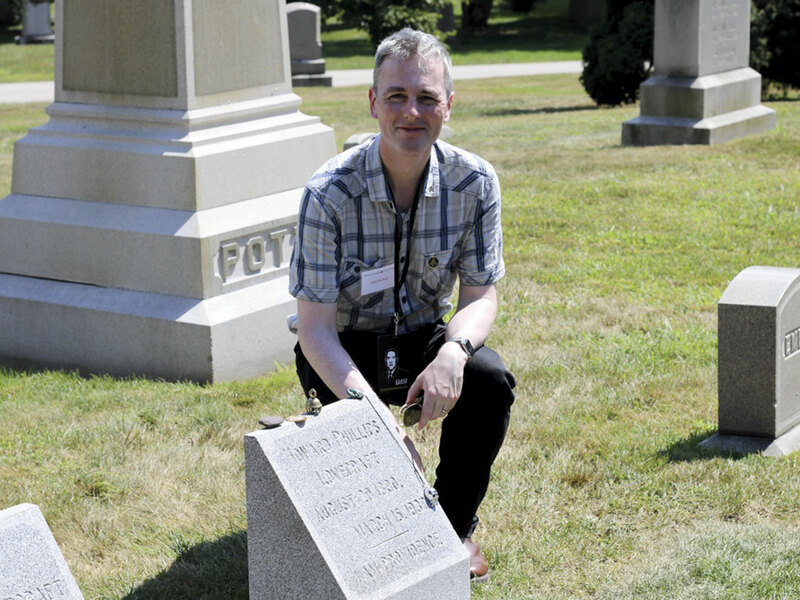 As we observed the 80th anniversary of Lovecraft's death, we endeavored to contribute to his memory in a special way. Several years ago we produced a special edition of the Lovecraft bust sculpted by our very talented friend Bryan Moore of Arkham Studios. 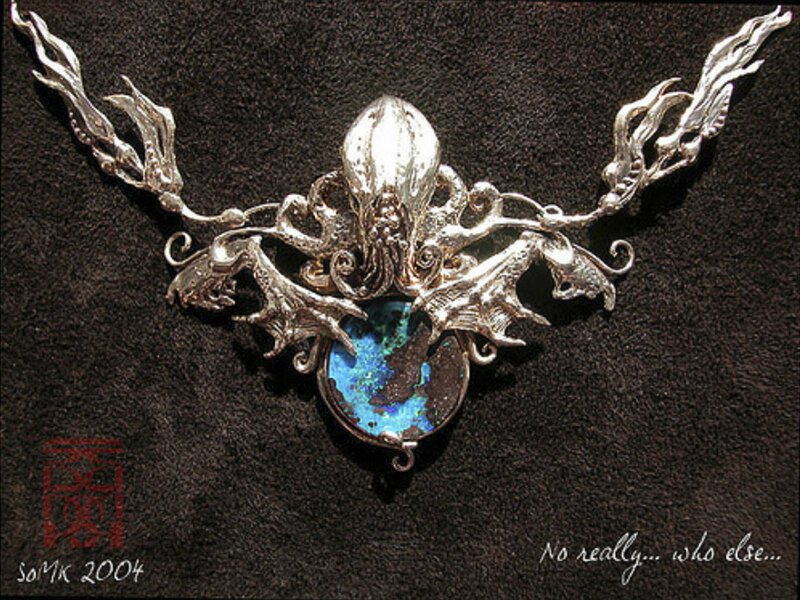 Our version puts Bryan's sculpture atop a base inspired by Lovecraft's tombstone. We experimented with different colors and finishes, and in the process cast two copies in black polyurethane as artist's proofs. We didn't do any production casts in black, and those two black casts were the only ones ever made. 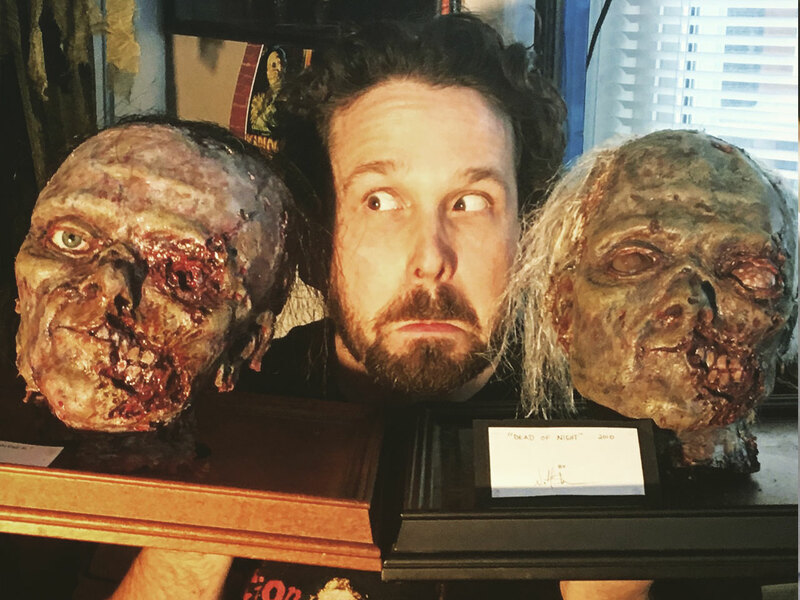 One exciting day Guillermo del Toro paid a visit to our shop, and he purchased one of the black HPL busts for his personal collection. We raffled off the other black HPL bust and donated all the proceeds to support The H.P. Lovecraft Providence Statue Project. Providence artist Gage Prentiss is working on a larger-than-life scale bronze statue of Lovecraft to go on permanent public display in Providence. We think it's a grand idea and to support the project, we're donating all funds from this and future raffles to support it. Whether or not you win the raffle drawing, if you buy a ticket, you're supporting a worthwhile cause. UPDATE: Below is video of the raffle drawing. The winner was Mark Miller. UPDATE #2: Congrats to Kasey Lee, the winner of the raffle for the copper Alert Idol. 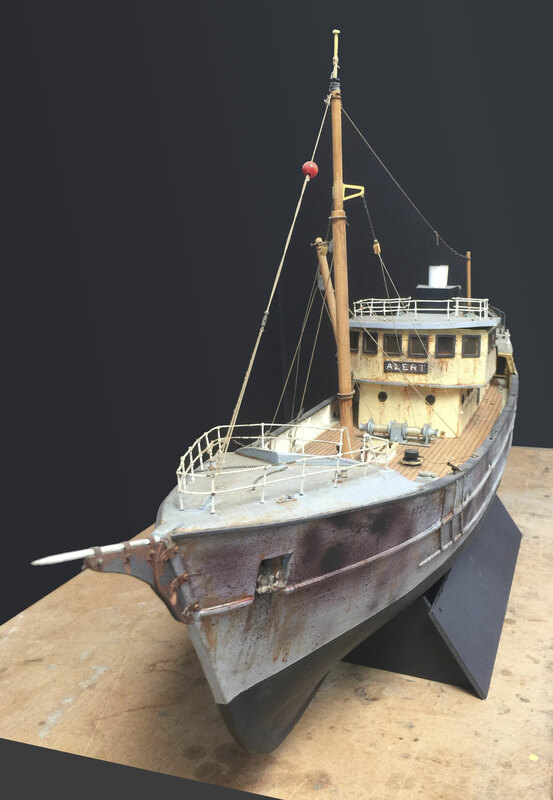 UPDATE #3: Congrats to Kurt Phillips, the winner of the raffle for the original model of the Alert. We are delighted to announce that we have added a Reviews feature to our website. 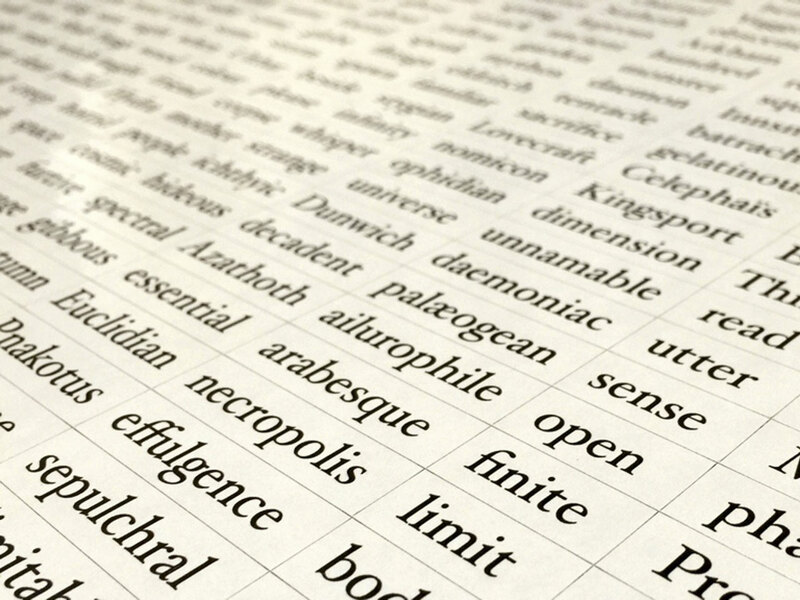 There are a lot of folks besides us out there creating interesting new stuff for the Lovecraft community, and we thought it might be fun and useful to have an official HPLHS Reviews page. Look in the INFORMATION drop-down menu in the navigation bar above, and you'll find your way to the new section. We have a team of volunteer reviewers who will take a look at the new books, movies, games, music, and more which come our way. If you’ve got something you think would be appropriate for an HPLHS Review, just send an e-mail to reviews@cthulhulives.org and we’ll take a look at it. We are very pleased to announce the imminent release of a new garment in the HPLHS online store. Independent Trading Company, the firm that supplies the very warm and cozy fleece-lined hoodies for our Antarctic Expedition design, offers a very stylish varsity-style hoodie. 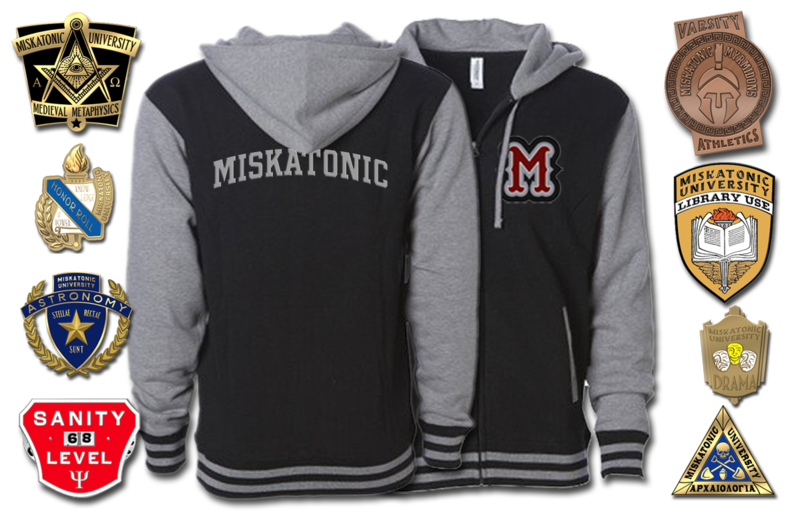 It's a beautifully made heavy-weight hoodie with contrasting sleeves and hood and striped cuffs and waistband. We're turning it into a proper Miskatonic University letterman's jacket, complete with a variety of pins to mark academic, athletic, and extracurricular achievements. The pins and jackets are in production now, and we expect to be shipping by early/mid March. Customers who pre-order will be able to select any four of the pins to be included free with the hoodie. Once we start shipping, the hoodie will come with your choice of one free pin, with all the other pins available separately. We're curious to see which pins prove most popular. We've started out with a set of eight designs, but we have more on the drawing board and hope to expand the available options soon! Card-carrying members of the HPLHS can earn bonus stamps in a variety of ways: by making a certain amount of purchases, by purchasing certain items or combinations of items, by sending real old-fashioned mail to us here at headquarters, by participating constructively and actively online, by sharing their enjoyment of HPL with other people, and in other ways. We enjoy issuing bonus stamps and are always looking for reasons to do it. If you're a member and feel you've earned a bonus stamp you don't have, feel free to let us know and we'll look into it. We are also happy to announce that a NEW bonus stamp has been added: The Thermionic Tube stamp. Members who have purchased at least 8 episodes of Dark Adventure Radio Theatre in digital download format are eligible for this stamp. Members who have purchased 16 episodes on CD and already have a DART stamp are also eligible for the new Thermionic Tube stamp. In addition, members who have purchased 16 episodes in digital download format will now also qualify for a DART stamp. 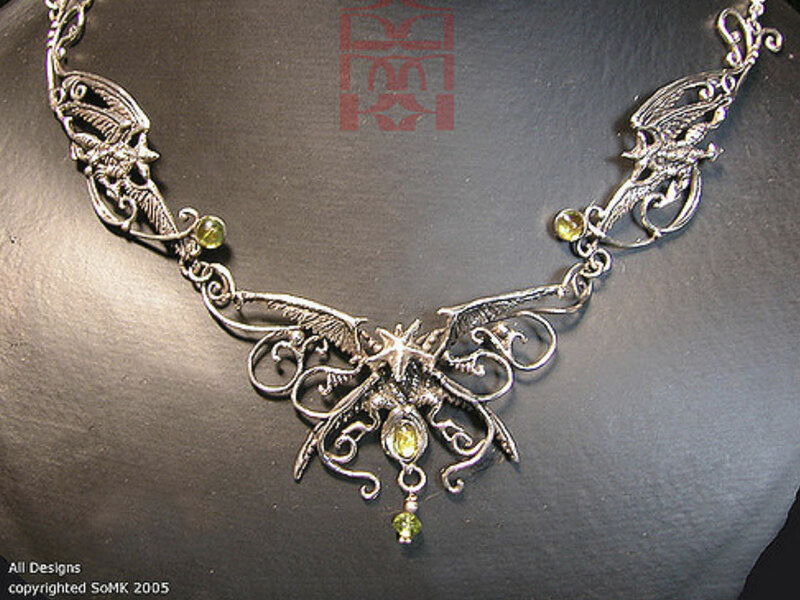 If you think you qualify and wish to receive the stamp, please do send e-mail to leman@cthulhulives.org. An image of the new stamp is available in the Member Sanctum. The membership committee has been spending hours each day this month reviewing the records of all Lifetime Members so that we can issue bonus stamps along with annual renewal stamps. It is a painstaking and time-consuming process, and it's not going as quickly as anyone would like. For those of you who are still awaiting your 2017 renewal and any possible bonus stamps, please know that we are working on it daily, and we regret any delay you may experience. 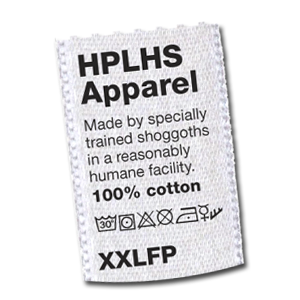 For the last several years the HPLHS has been proud to sell shirts and other garments made by American Apparel locally in Los Angeles under sweatshop-free conditions. American Apparel has struggled financially for years, and earlier this month the company finally closed its doors. We are very sorry for the many people here in LA and worldwide who have lost their jobs. We are currently hunting for a new supplier for t-shirts, sweatshirts and hoodies and we will strive to find one that is environmentally responsible and dedicated to good labor practices. We look forward to continuing to provide cool and fun Lovecraftian designs on excellent garments with a minimum of interruption. HPLHS global headquarters was graced on August 10 by a visit from Professor Philip Bell of the University of Washington. In addition to being a distinguished professor of the Learning Sciences & Human Development, Phil is also one of the co-founders of the HPLHS. He wrote, ran and played in many games of Cthulhu Lives! back in the society's early Colorado days, and was the co-editor of Strange Eons from first issue to last. He was in the Los Angeles area visiting prospective colleges with his daughter, who took this picture of three old geezers, at least one of whom made good. We were delighted to see them both!